The lack of walls in some of the living areas in your house has its own advantages. 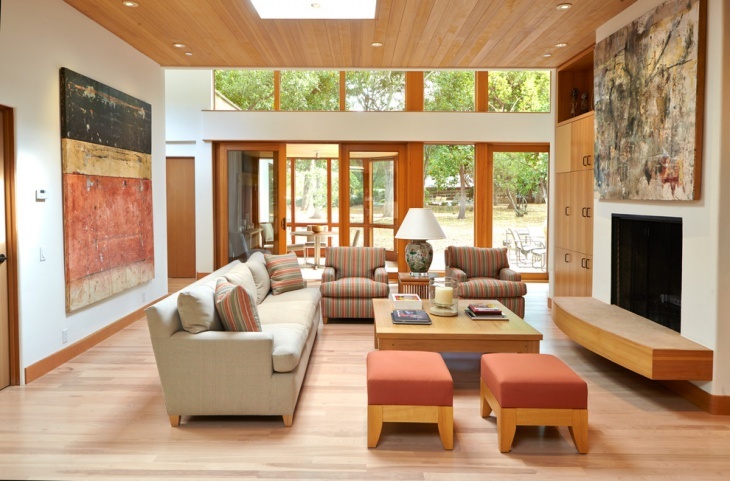 It offers a feeling of openness and unity with the rest of the functional rooms of the house. 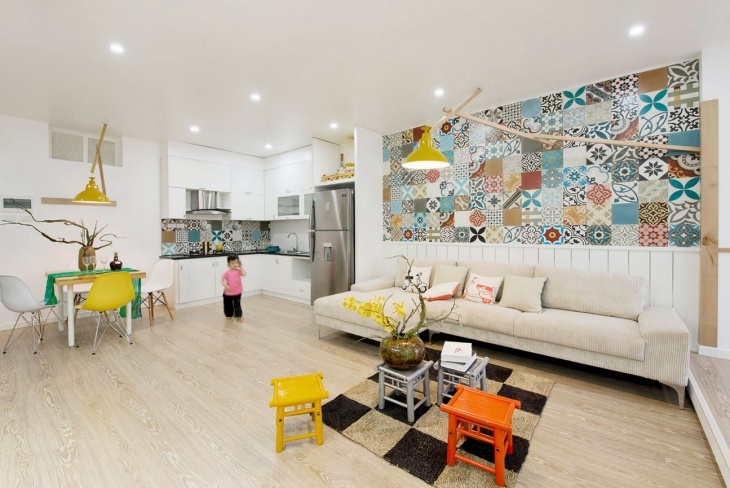 An open floor layout allows for free interaction between the family members without missing on character and aesthetics. If you want to find out how to do that, keep reading for our list of 10 open living room design ideas. An open kitchen living room design allows for a considerable diversity on the layout design. You can choose a certain color scheme and use it in both areas. 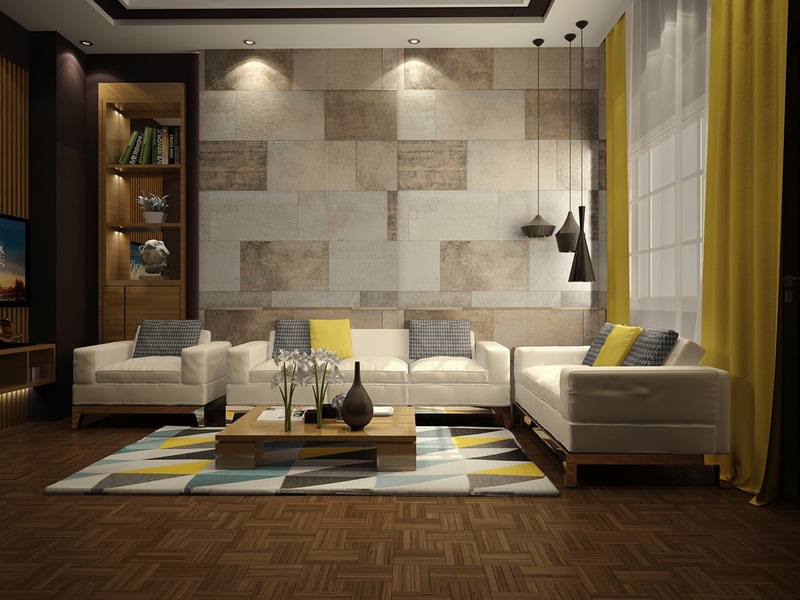 Distinguish the living room from the kitchen by using different flooring. A simple layout for your open space is a great solution. You can place have the dining are along with the living room area in a common room. This will give you an easier access for your dinner parties. 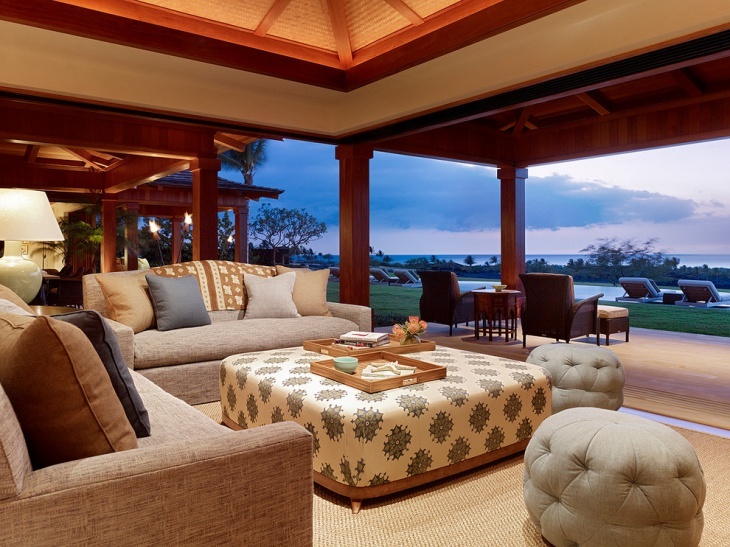 You can create a formal large living room floor design with the appropriate furniture. Invest in sophisticated textures and modern design for your space. 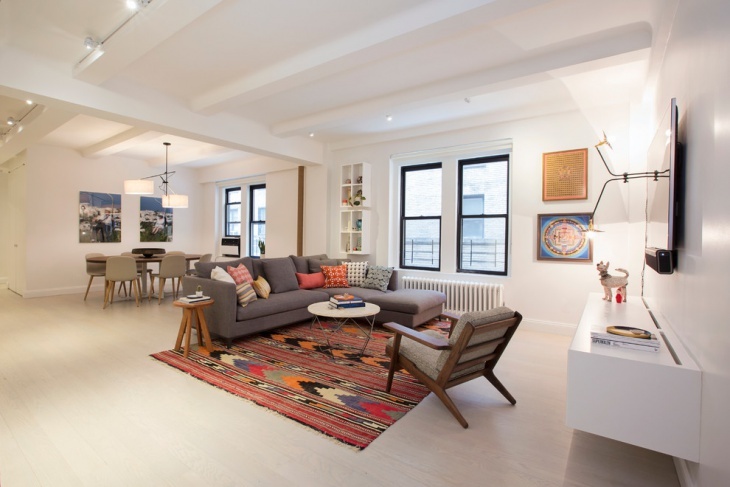 Accessorize with an elegant rug or a modern coffee table for a dose of luxury. You can have half walls to divide each area in your open space. This will still keep the open concept of your living room without taking away the character of every area. 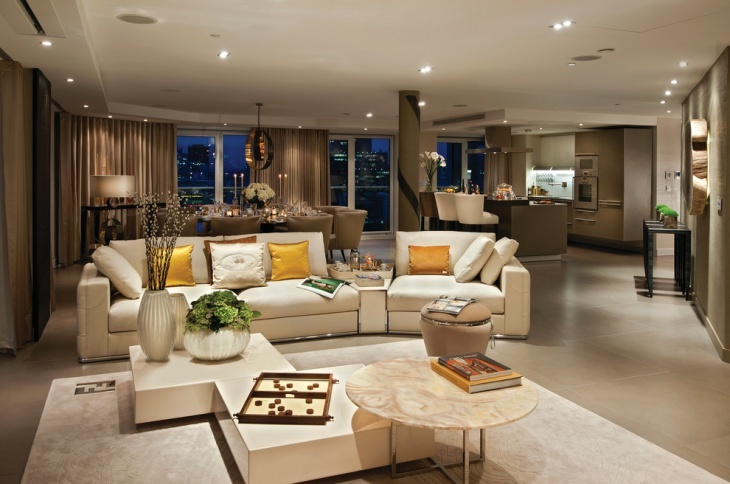 Neutral colors are a good choice to keep a serene and evenness to the eye. 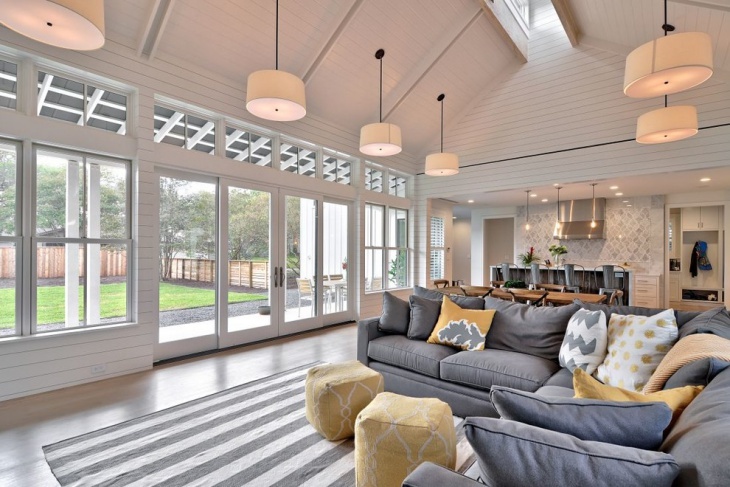 If you have a high ceiling you can create levels to divide each space. This way you can make the open room look bigger and stylish. 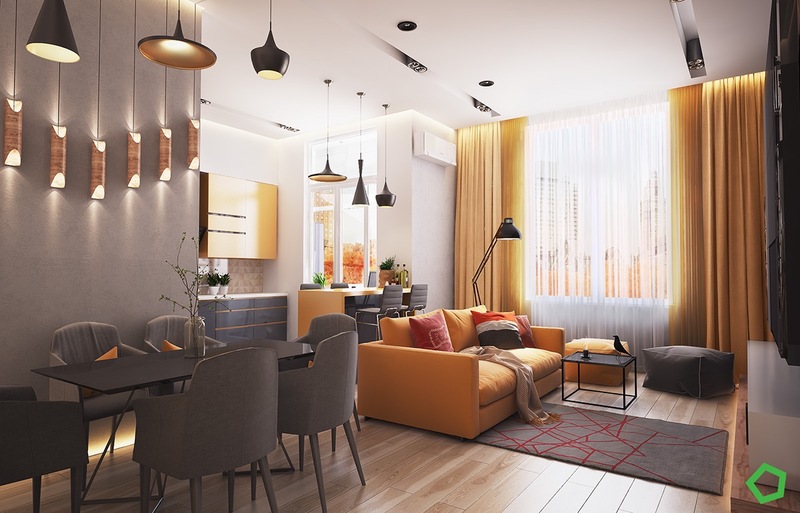 Like this modern living space the kitchen with the open dining room and living room are connected by color and style. 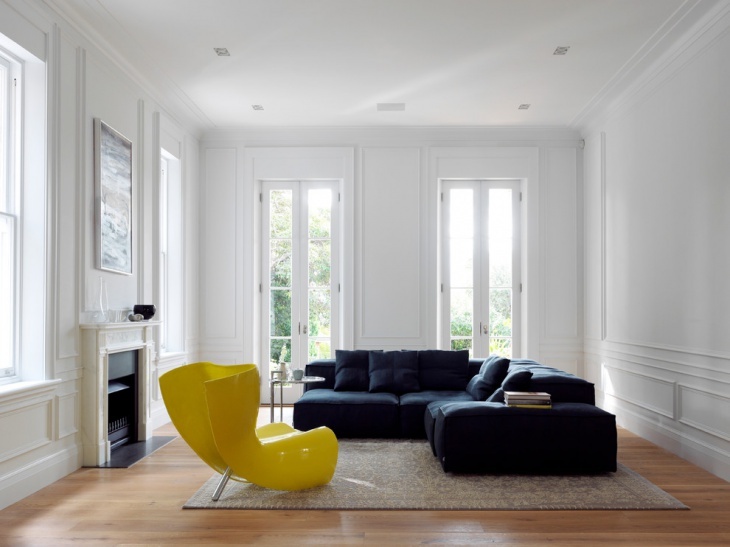 The minimalist approach is giving the impression of a larger space. 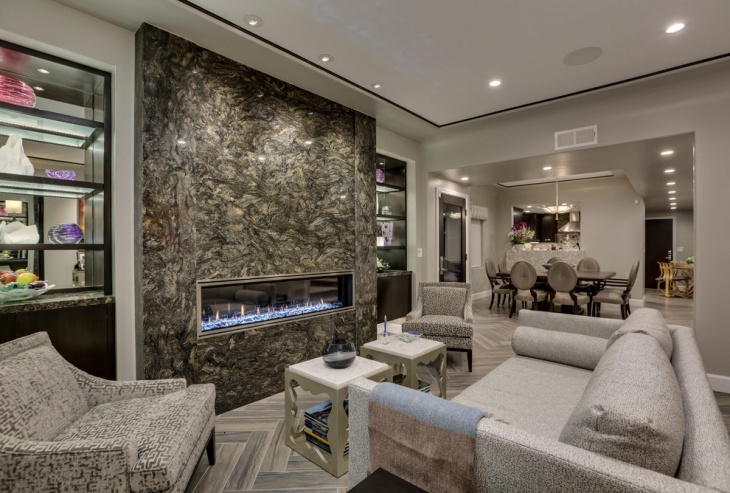 A fireplace will add a cozy feeling to your open living room space. For the furniture you can choose neutral colors and add one piece in a bold bright one for contrast. An accent wall and the half walls divide the space according to functionality without taking away from the openness. 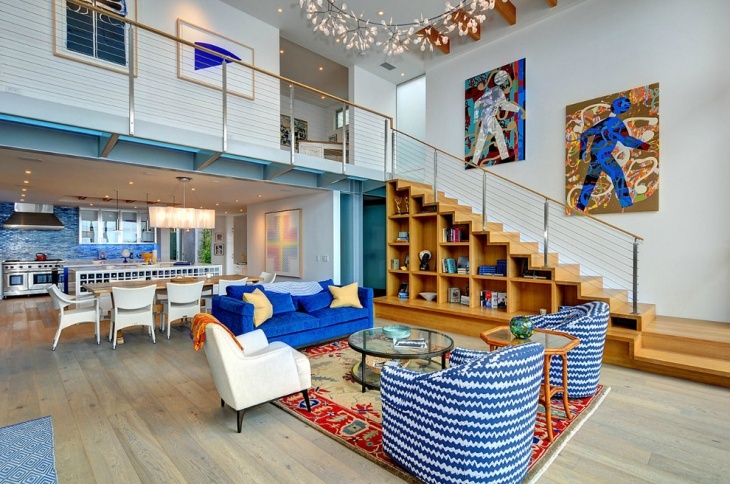 Design the stairs in a different color scheme from the rest of the open space. The black wall and the glass banister create a contrast that adds to the room’s character. 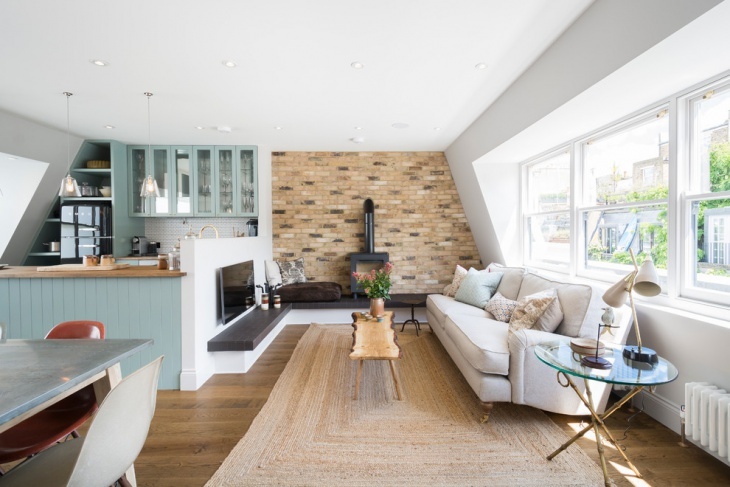 An open living room space can be styled in many ways. It can be a part of the rest of the space with matching colors and style or it can simply stand completely on its own. You can incorporate different characteristics to bring out the beauty of the open space. Allow for bigger windows in the open space area. 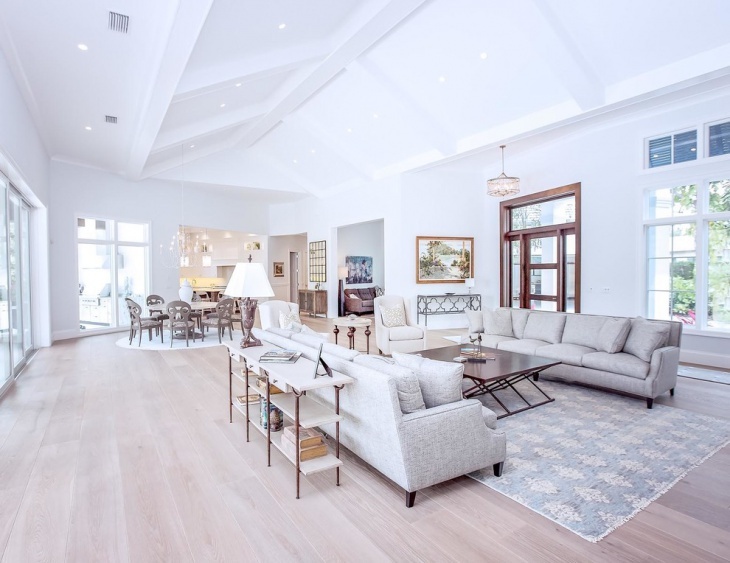 The natural light will add to the room’s openness giving a natural connection between all the areas. 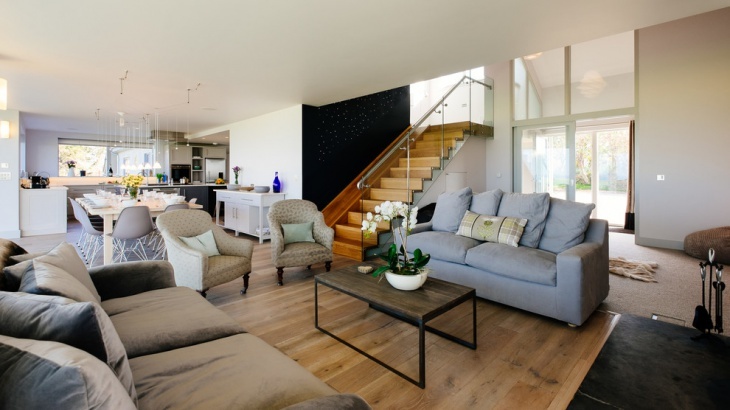 An open space will give you a great choice of layout designs to choose from. Add natural materials for flooring and choose furniture that will help you create a beautiful and charming room. 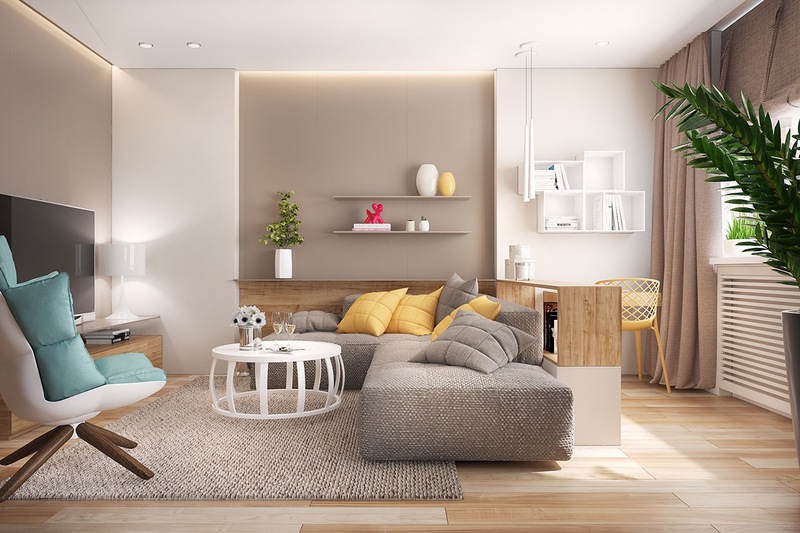 Connect the different areas with style and make your living area a great place to live in.